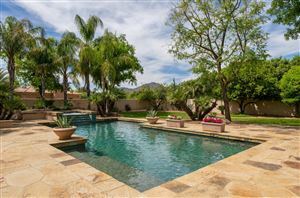 Paradise Valley is a small, affluent community known for its expensive real estate, luxury golf courses, upscale shopping and highly ranked restaurants. There are eight full service resorts within the Town of Paradise Valley, making it a favorite tourist destination and also providing outstanding amenities for Paradise Valley residents. Landmarks in Paradise Valley include Mummy Mountain, centrally located within the Town, Camelback Mountain on the south border and Piestewa Peak and the Phoenix Mountain Preserve on the western border. Most of Paradise Valley is served by the Scottsdale Unified School District. There are also several charter schools in Paradise Valley which include Great Hearts Academies and BASIS Schools as well as private schools like Phoenix Country Day School. For more information on the Town of Paradise Valley or to see homes in this exceptional community, please contact Linda Martin at 480-225-8884.